The ASUS Eee PC 1015BX, an AMD powered netbook is now up for order in Germany. We reported earlier in one of our news that this model accompanies a new AMD processor which was recently released. Though this model seems to have included the 1.33GHz AMD C-60 low power chip with a TDP of 9W and Radeon HD 6290 graphics with a clock speed ranging from 276MHz to 400MHz, which was earlier thought to be C-50. The Eee PC1015BX has a 10.1inch LED backlight, anti-glare display which provides a 1024 x 600pixels of resolution. 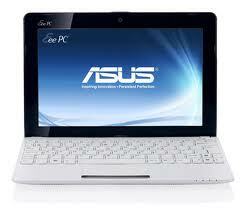 This model is also provided with a 1GB DDR3 RAM which can be upgraded up to 4GB along with a 320GB HDD. A 32 bit Windows7 operating system is also equipped with this netbook. An HDMI port for interfacing the device with external devices is also provided. The new processor added to this model is a low power processor. The C-60 dual core chip is a modest upgrade to the 1GHz, C-50 dual Core processor providing a bit of performance boost. This chip also can also be compared with the Intel’s Atom chip. This model runs on a 3-cell lithium-ion battery (2200mAh) /40watts. This model is priced at €205.94 ($277 US) for the customers in Germany.